← Impeach Obama Overpass Movement spreads across America! In the first day of the Defense in George Zimmerman’s trial for the second-degree murder of Trayvon Martin, a major blow was dealt against the Prosecution. Last Friday, Trayvon’s mother and brother had testified that the voice in the 911 call was that of Trayvon screaming for help. 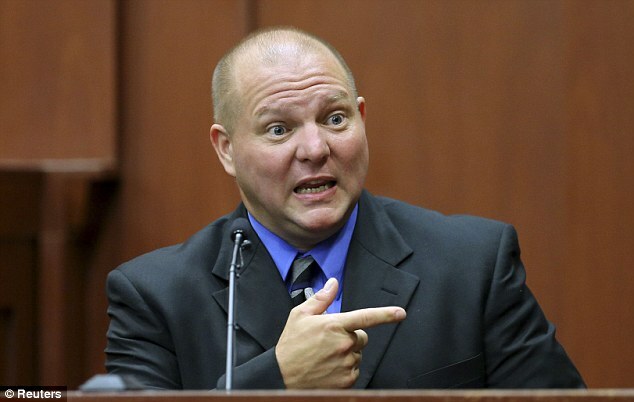 But Zimmerman’s mother and uncle also testified last Friday that it was Zimmerman screaming in the 911 call. Today, however, the lead detective in the Zimmerman-Martin case testified that Trayvon Martin’s father had told him it was NOT his son screaming for help in the 911 call. The 911 call captured the confrontation between Zimmerman and Martin shortly before Zimmerman fatally shot the teen. as such, the call is a crucial piece of evidence because it could determine who the aggressor was in the confrontation last year. 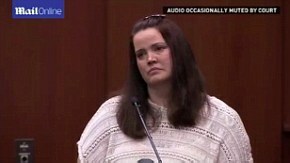 Matt Blake and Rachel Quigley report for the Daily Mail, July 8, 2013, that detective Chris Serino (above) took the stand for the second time in the trial. He was called after seven of Zimmerman’s friends told the court it was the neighborhood watch volunteer, not Martin, who was crying for help in the 911 call.Serino told the court that one or two days after the shooting, he had played the tape of the 911 call to Tracy Martin, Trayvon’s father, and his girlfriend. 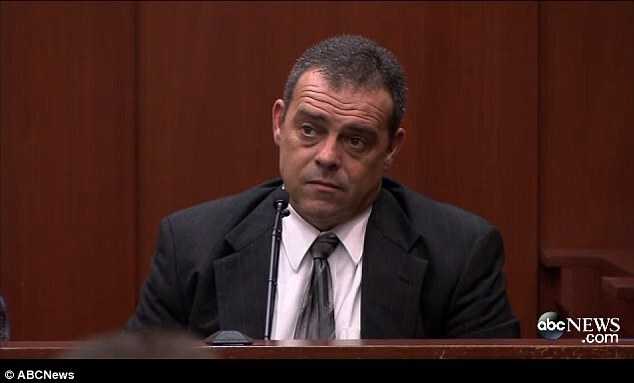 Serino asked Martin if the voice belonged to Trayvon. “‘He looked away and under his breath as I interpret it, said ‘no’,” Serino recalled. 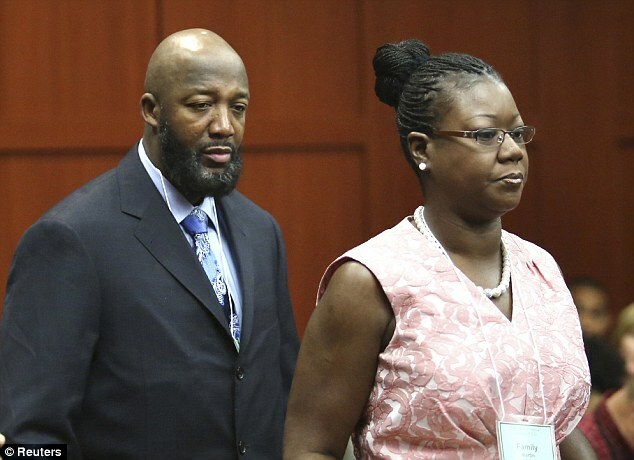 Trayvon’s parents: Tracy Martin (l) and Sybrina Fulton (r). The Sanford, Florida detective’s testimony will further harm the state’s case against Zimmerman. Seven of Zimmerman’s friends and coworkers also told the court this morning that the screams for help in the 911 tape belonged to Zimmerman. After the call was played for Sondra Osterman (pic below) in the courtroom, defense attorney Mark O’Mara asked who it was. “Yes, definitely. It’s Georgie. I just hear it. I hear him screaming,” Osterman said. She testified she had first met Zimmerman in 2006 while working with him at a mortgage company. Osterman and her husband, Mark, describe themselves as the best friends of Zimmerman and his wife. When asked by O’Mara if she detected ill will, spite or hatred in his voice when he said to the 911 dispatcher: “F***ing punks. These a*******. They always get away,” she answered no. 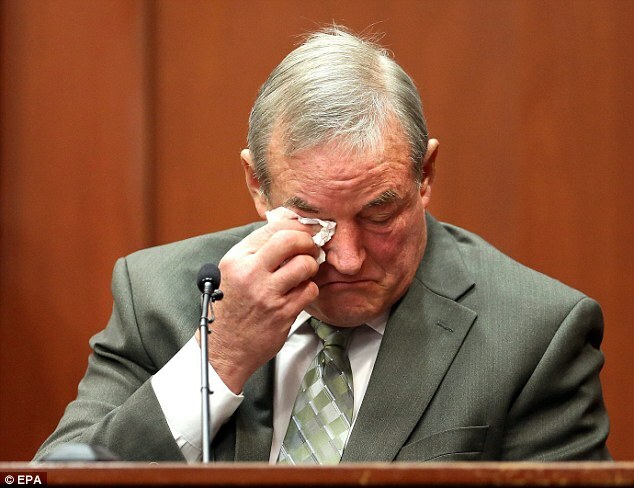 Under cross-examination, prosecutor Bernie de la Rionda implied that Sondra Osterman and her husband, Mark, had a stake in the outcome of the trial because they had written a book about Zimmerman’s case and were donating the proceeds to their friend. “I wouldn’t lie for him or for anybody,” Sondra Osterman said, adding that she was unsure how many copies her husband’s book, Defending our Friend: The Most Hated Man in America, has sold. Another friend of Zimmerman, John Donnelly (below), also testified that the voice screaming for help in the 911 tape was that of Zimmerman. He said he thinks of Zimmerman “as a son” and had spent $4,700 — donating to Zimmerman’s defense fund, his personal website, and buying him suits, shirts, and ties for the trial. Zimmerman’s best friend, Mark Osterman (pic below), testified about how Zimmerman had chosen and purchased his firearm and revealed that he could shoot with both hands and had recommended keeping the gun loaded. Yet another former coworker, Leanne Benjamin, also identified Zimmerman as the screaming voice on the 911 call. Today’s testimony supports speculation which emerged over the weekend that Zimmerman will walk free amid claims the prosecution’s case has crumbled. Experts say that lawyers acting on behalf of the State of Miami have failed to show that Zimmerman did not reasonably believe the gunshot was ‘necessary to prevent imminent death or great bodily harm’ to himself. That is also the opinion of former California Alameda County Public Defender Jay Gaskill. See his analysis of the trial here. That’s a lot of pretty powerful testimony….